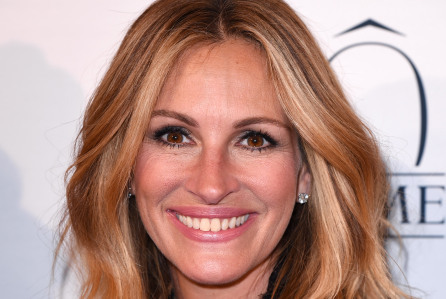 Julia Roberts is an American actress and producer. She became a Hollywood star after headlining the romantic comedy Pretty Woman (1990), which grossed $464 million worldwide. She has won three Golden Globe Awards (out of eight nominations) and has been nominated for four Academy Awards for her film acting, winning the Academy Award for Best Actress for her performance in Erin Brockovich (2000). Her films Mystic Pizza (1988), Steel Magnolias (1989), Pretty Woman (1990), Flatliners (1990), Sleeping with the Enemy (1991), Hook (1991), The Pelican Brief (1993), My Best Friend's Wedding (1997), Conspiracy Theory (1997), Notting Hill (1999), Runaway Bride (1999), Ocean's Eleven (2001), Mona Lisa Smile (2003), Ocean's Twelve (2004), Charlie Wilson's War (2007), Valentine's Day (2010), Eat Pray Love (2010), Mirror Mirror (2012), Money Monster (2016), and Wonder (2017) have collectively brought box office receipts of over US$2.8 billion, making her one of the most successful actresses in terms of box office receipts. She received the Primetime Emmy Award for Outstanding Supporting Actress in a Limited Series or Movie nomination for her performance in the HBO television film The Normal Heart (2014). Roberts was the highest-paid actress in the world throughout most of the 1990s and in the first half of the 2000s. 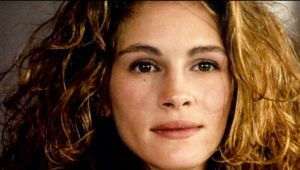 Her fee for 1990's Pretty Woman was US$300,000; in 2003, she was paid an unprecedented $25 million for her role in Mona Lisa Smile (2003). As of 2007 Roberts's net worth was estimated to be $140 million. She has been named People magazine's "World's Most Beautiful Woman" a record five times.